hello, this is what i look like today, pretty much the same as ever right? wearing a navy sheer shirt with contrasting black collar etc. black ribbon tied in a bow and my hair straight, as i am favoring that at the moment. i have strange skin right now because, surprise surprise, my face doesn’t agree with origins face wash. despite it performing really well and getting my face squeaky clean! so now i have really dry skin on my chin and around my nose. you can’t really tell until you’re close up but i know it’s there and i hope it goes away pronto! i went into town today to meet a friend (well, ex boyfriend, we’re still friends and talk often), return some items (£170+ worth!) and go for starbucks. caramel hot chocolate’s are a staple of my diet. i was supposed to be going round another friends house afterwards but he’s managed to get injured, so that plan was cancelled. 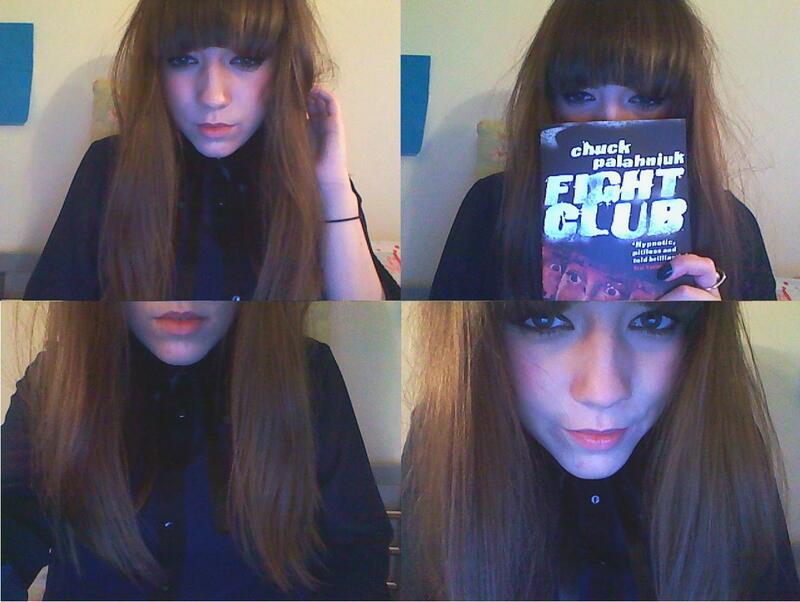 instead i’m going to eat some food, catch up on blogs, listen to new music and then read the rest of fight club. i’m about a third of the way in and i’m really enjoying it. back to university and the gym tomorrow, 10am start, so i’ll be having a reasonably early night. and i am really loving the gym at the moment so i’m a little bit excited to go. is that sad? probably, but when i’m super toned i’ll not be bothered! hope you’s have had a lovely day where ever you are in the world!